Those who follow this blog or interact with me regularly via other online media know that I am vehemently opposed to the corrupt practices that have begun to infest the Games Industry over the last decade or so. The gold-digging behavior of big, corporate “AAA” publishers makes me sick, and when I look back on the truly classic games that emerged during the 16-bit Golden Age, I can’t help but think that the Golden Age never could have happened if game publishers then were as greedy and profit-mongering as game publishers now. Square-Enix has been the subject of my ire for a long time as well. Not only has the merger of my two former favorite dev/pubs continued to poop all over its flagship franchises with the likes of THREE undesirable ‘Final Fantasy 13’ games and wasting several flagship sequel slots on subscription MMORPGs (“Final Fantasy 11,” “Final Fantasy 14,” and “Dragon Quest 10” for those who haven’t been paying attention), but after buying the assets of struggling Western PC developer, Eidos, they’ve churned out far more of that flavor of games than the RPGs that serve as the foundation stones of both Squaresoft AND Enix. Square-Enix also wastes time and resources on predatory mobile gacha machines, one of which I’ve been playing on my Shield Tablet for over 2 years (without spending a penny on macrotransactions). I am an ardent defender of the concept of only buying finished videogame products, thus I practice what I preach and wait patiently for ‘Complete’ or ‘Game of the Year’ editions of pretty much every game to be released before buying, since I don’t want to reward bad behavior by paying full price for half a product – by waiting, it’s incredibly simple to pay half-price (or less) for a full product! The original “Dragon Quest” (known as “Dragon Warrior” in the West) was my first RPG, and while I have no delusions about its quality (it was actually quite crude and crappy, though still better than PC RPGs like ‘Ultima’ or the Gold Box D&D titles), I still have a soft spot for the franchise, as, outside of the rough-and-not-quite-ready NES titles, it has been a far more consistent bastion of quality than ‘Final Fantasy’ or, indeed, any other long-running RPG series. The news that broke a while back revealing that “Dragon Quest 11” would be coming to PC via Steam shattered my last tenuous reason to ever consider rewarding Sony’s recent deplorable behavior and purchasing a PlayStation 4. Square-Enix was finally, for the first time ever, releasing a ‘Dragon Quest’ game on multiple platforms simultaneously, and one of them was going to be the unheard of PC! 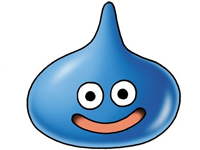 As the days ticked-down to the September 4, 2018 launch of the first ‘Dragon Quest’ release in North America since the DS dud, “Dragon Quest 9,” nearly a decade ago, I felt my willpower wavering, and even commented in a ‘Backlog: The Embiggening’ article that I’d consider paying more than $20 for it on Steam. Then I saw an article about an interview with Yuji Horii, the creator of ‘Dragon Quest,’ in which he flat out stated that “Dragon Quest 11” wouldn’t have any Season Pass, DLC, or microtransaction nonsense – in fact that “Dragon Quest 11” would cleave to tradition, as ‘Dragon Quest’ has a reputation for doing, and be a complete product at release. A complete product at launch?! From a modern “AAA” publisher with as bad a recent track record as Square-Enix?! In 2018?! I found this sudden shift in corporate behavior to be very acceptable, and wanted to reward the company for doing right… but then they went and added Denuvo Anti-Tamper to the Steam release. I thought, maybe I’d wait and see if the Denuvo would be removed, but then word trickled to me through the grape vine that British keytailer, Greenman Gaming, had pre-orders for “Dragon Quest 11” available for 25% off. Normally I mock 25% off discounts as pitiful, patronizing, token discounts. But I was already considering a purchase of “Dragon Quest 11” for more than my typical $20 cap on digital games, and with no future DLC to worry about, pre-ordering and getting to experience the game at launch for $45 seemed like a pretty good idea. With a mere 4 hours left on the Greenman Gaming sale countdown, I bit. In spite of the Denuvo, Square-Enix deserved to be rewarded for their mostly good behavior surrounding the latest sequel in their longest-running, most-consistently-good franchise. Maybe I’m an enabler, giving Square-Enix more money than they deserve for an as-yet-unproven product. Maybe they won’t remove the Denuvo after the launch window closes. Maybe they’ll renege on the promise of no DLC or microtransactions. Corporations lie – that’s largely why the corporate structure exists in the first place, to protect the individual people contained therein from legal repercussions for deplorable behavior. But for now, I’m content to be playing a brand new game in my favorite RPG franchise at launch for the first time in Generations. I'm glad you found a reason to support a series like Dragon Quest by buying the game right at release. Games like that won't be made for the west if guys like you continue to wait for the game to be super cheap to buy. If people like you don't buy the game at release, who will? I got the limited edition for PS4 off the square-enix website. Yes the price was high but the book and soundtrack are pretty sweet and I feel like I'm supporting the franchise by doing it. I look forward to playing it once I finish Octopath Traveler (another complete Square-Enix game worth supporting FYI).